Ever dreamed of having your own personal spa? 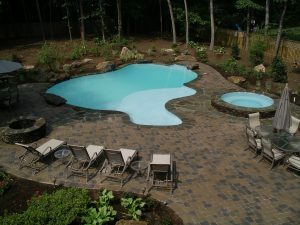 Well, your dream can be a reality thanks to VistaPro Pools & Spas, a premier Maryland landscape and design company. We can create a relaxing, custom-designed backyard spa to suit any lifestyle and budget. Just think of warm, bubbling water pulsing across your tired muscles as you close your eyes and relax … just like having a 24-7, on-call private masseuse! At VistaPro Pools & Spas, we’re experts in building & designing custom backyard spas for Maryland homeowners. We’ll make your dream of everyday relaxation and rejuvenation come true by building and designing a custom backyard spa that your entire family will enjoy. We will make sure to use the highest-quality materials to construct a spa that fits in with your overall aesthetic and meets your budget. Safety and customer service are priorities for us, and you’ll always get service with a smile. We’re positive we can design and build a backyard spa you’ll love to use for everyday relaxation. 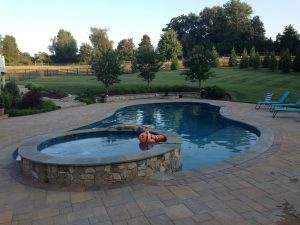 View our portfolio of past projects to see some of the backyard spas we’ve custom-built for Maryland homeowners just like you. Whether you want a natural rock spa, a heated waterfall, a salt water spa or anything else, we’ll make your vision a reality. At VistaPro Pools & Spas, we know we can build a custom backyard spa that will meet all your needs and match both your budget and your home’s overall aesthetics. Call us today at 301-805-0119 to schedule your free consultation!